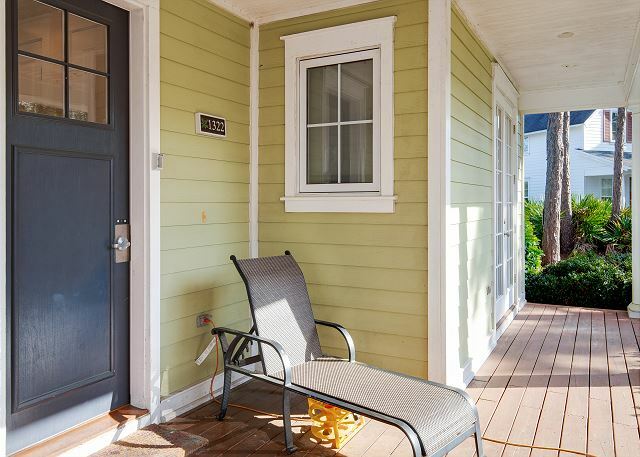 Step into our beach retreat at LAUREL GROVE ! 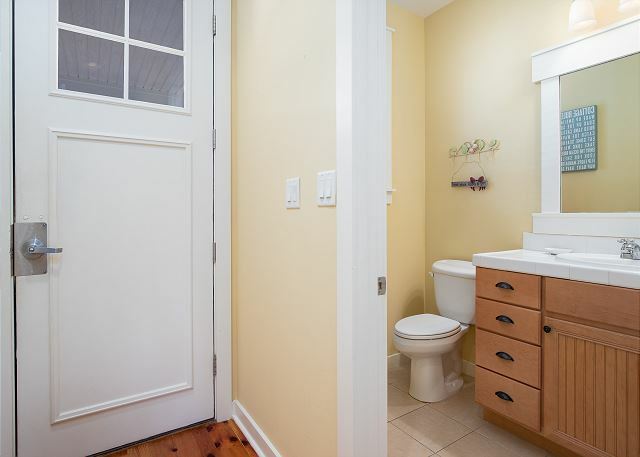 Tucked away on a quiet cul-de-sac, our cottage is cozy and private. Just a short walk away is the LAUREL GROVE clubhouse where you will find a heated swimming pool with plenty of lounge chairs, hot tub, mini-kitchen, outdoor grill area and state of the art exercise room. The neighborhood also features several stocked ponds for guests to fish. Whether you are here to enjoy the beach, pool, shopping, golf, etc. 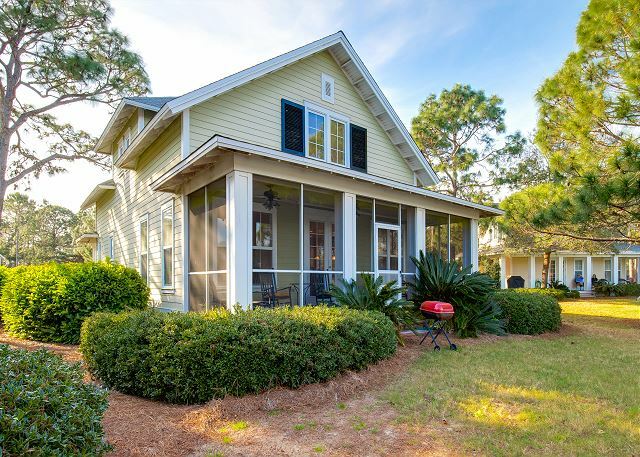 ; take some time out to enjoy our large front porch with a good book and accompanying beverage or the screened-in porch with backyard while the kids play and a spectacular view of the raven golf course. 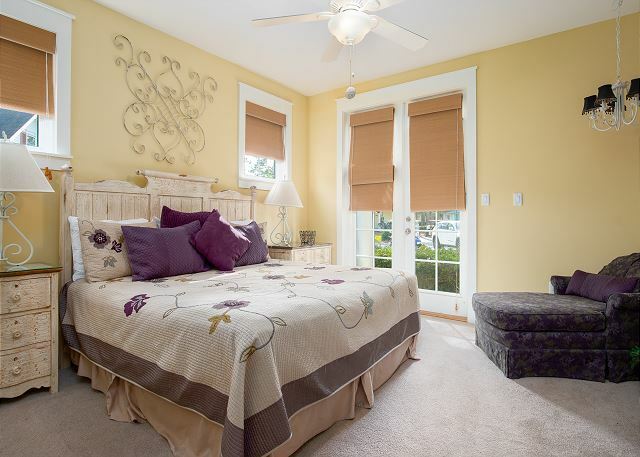 You are sure to feel relaxed as you enjoy your home away from home. 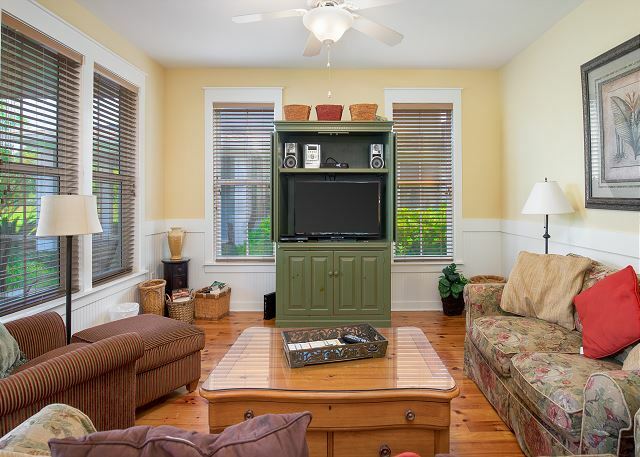 Our cottage has three bedrooms and two full baths/1 half bath plus two queen sleeper sofas. It is equipped with everything you need to relax and enjoy your time at the resort. From the openness of the great room, the convenient layout of the kitchen and the comfort of each bedroom, you are sure to enjoy this retreat for your family or friendly gatherings. 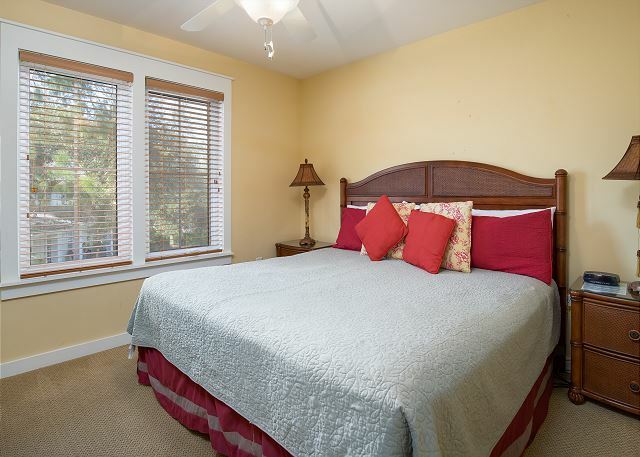 Master bedroom: located on the main level, it features a king-size bed and TV. 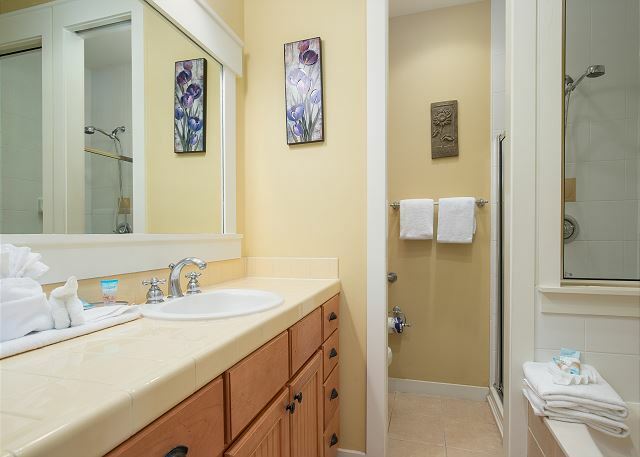 Within the master bedroom, you will have access to the master bath, which includes a walk-in shower and soaking tub. 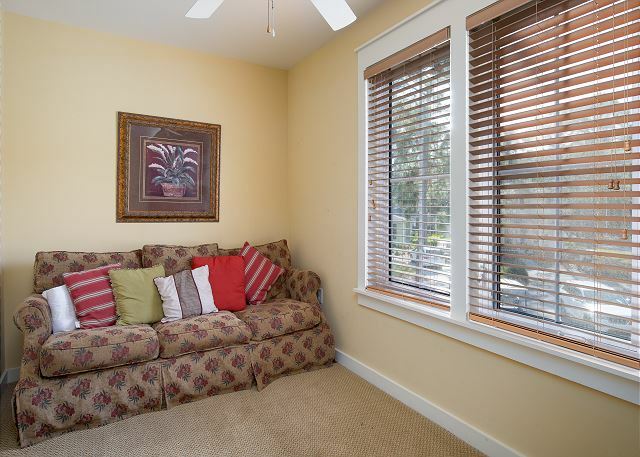 Great room: comfy and bright room with two story vaulted ceiling. TV, stereo & DVD player. Pull out couch with queen sleeper sofa. 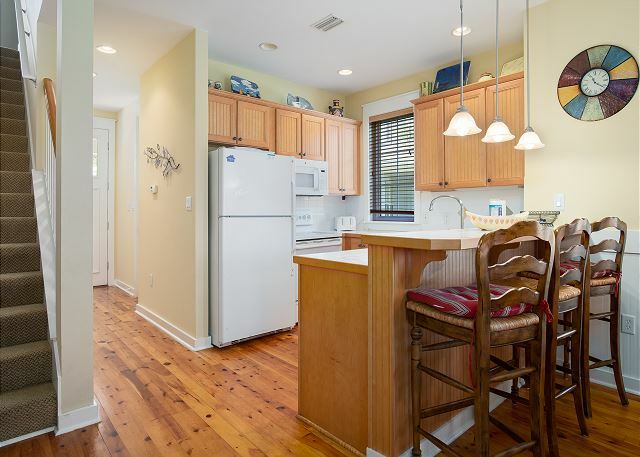 Kitchen: located on the main level and equipped with everything you need to prepare meals during your stay be it a quick snack or a full meal for the family. 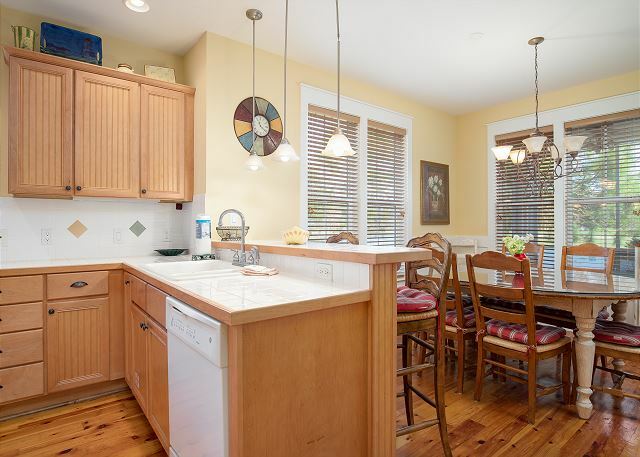 Granite counter tops, breakfast bar for quick meals. 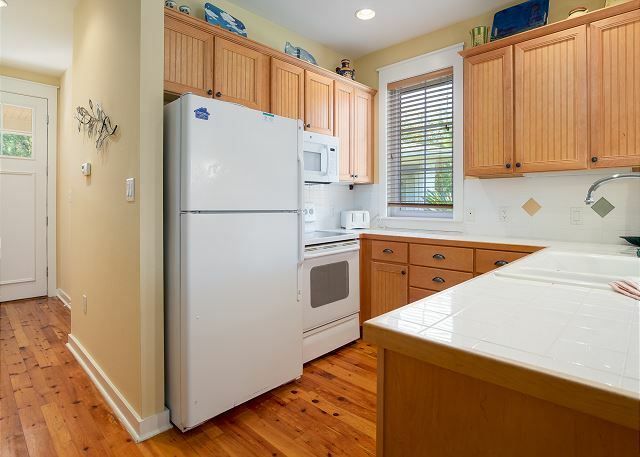 Laundry room: located on the main level and is equipped with stackable washer and dryer. 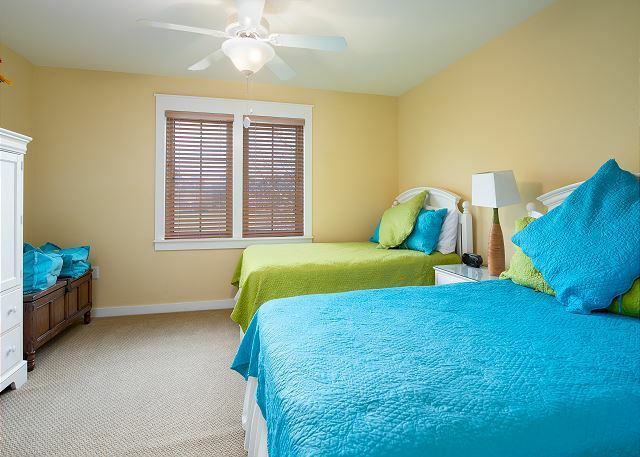 Bedroom 2: located on the second floor, this is a perfect room for the kids! This room contains a set of double beds. It is has a jack and jill bath room attached to it with a walk in shower. Bedroom 3: located on the second level, this room contains a king-size bed & TV. Upstairs loft: great space for the kids to get away. TV/VCR/DVD/game area! 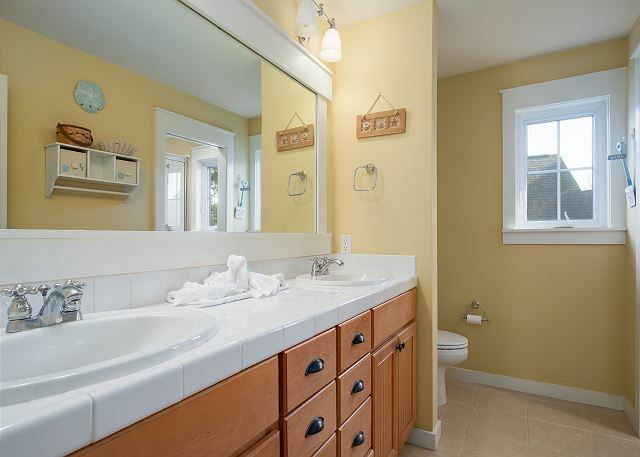 Upstairs bathroom: there is one bathroom upstairs – it is a jack & Jill. 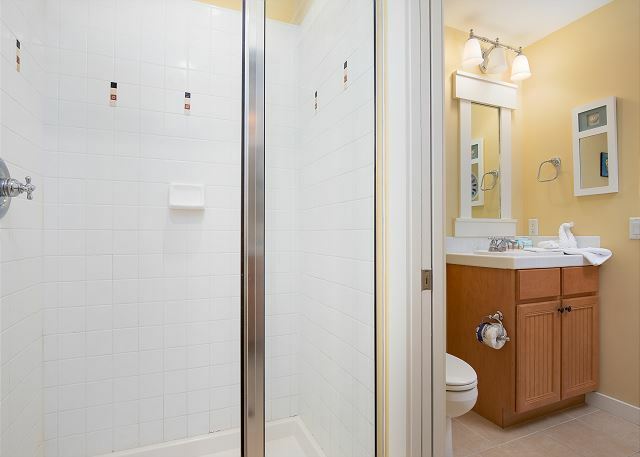 Two separate vanity areas and the full shower area is in a separated room with pocket doors. This is a beautiful home in a very peaceful setting. The house was cozy. It rained almost every day so we used the screened in porch quite often. It's a short ride away from the village and stops on Grand Blvd. Since the house sleeps 8, it would have been nice to have a 6 seater golf cart or two carts but we made it work. This is definitely a great location and resort. My family plans to go back again next year and we're hoping this same house is available. Anna R from Oak Ridge, Tennessee does not recommend this vacation rental. The house we rented was amazing! The size was perfect, the house itself was beautiful and the neighborhood was so quiet. My family enjoyed our week there and will definitely consider renting the same house next year. Lovely place and very spacious plus it had a golf cart! Very easy to book, we were provided a link for an app which included everything we needed for our entire stay. Loved the house, very spacious and super clean. 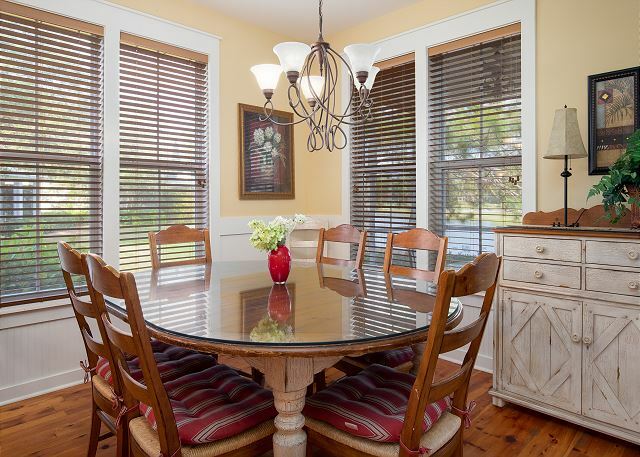 This house was perfect for our family of 5 staying in Sandestin for Spring Break. Short golf cart ride to Baytowne Wharf, with lots of activities for everyone. The price was impossible to beat! 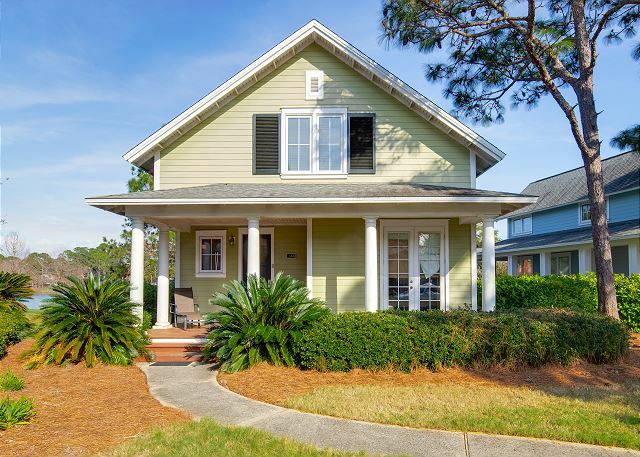 The owner was very helpful in answering questions and making recommendations for nearby public beaches (the Sandestin beach is a zoo during high season). We had several issues come up while we were at Sandestin, all our own doing, and the management staff were very gracious and prompt in helping us resolve our issues. Thank you, Jerilyn! In the past, when I attended my annual conference trip, my family and I stay at the Grand Sandestin properties. I was late in making my reservations and was blessed to find this listing. The cottage was the perfect size for my family, with plenty of room for every one. It was a comfortable distance from the conference center and Baytowne. The golf cart was an awesome bonus! Once the dates for next year's conference is announced, I hope to rent this property again. We stayed with 10 people in our family--six adults, four kids under 6. The house was plenty big enough, and was very clean and in good condition. 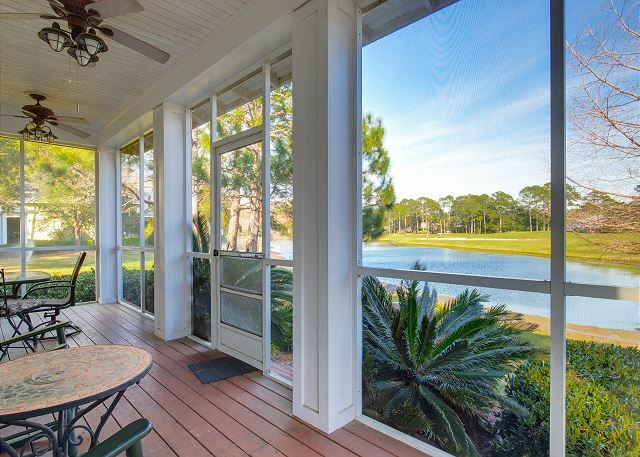 Everyone loved the porch, the pond, and the golf cart, which was invaluable in moving around Sandestin and making it to the beach. Everything was very convenient. Only negative comment is that the living room furniture really needs to be replaced, it's not in great condition. Otherwise furniture in the house was in good shape. We will probably come back to this unit in the furniture. Allen, Thank you so much for your review. We look forward to hosting you and your family again! Was the vacation rental in a great location? Yes it was perfect. Was the home clean and in good shape?Very clean! Possible plumbing problem-toilets did not want to flush. Other- The furniture- NEEDS TO BE REPLACED, Couch,Chair and love seat were not comfortable AT ALL. All adults in party agreed.Once these issues are resolved, I would definitely recommend this property! Hi Lisa, Thank you so much for your review. We enjoyed hosting you and your friends and look forward to your next stay. We really enjoyed the area. The people are so nice in that area. Over all we were satisfied with the condo. Jennifer, Thank you so much for taking the time to write a review. We do appreciate your business and look forward to hosting your family in the future. House was fantastic! Area is top notch. Dear Tonja and Shawyon, Thank you so much for your review. I am so glad your family vacation was a success. We look forward to hosting you and your family the next time you are in our area. John, Thank you so much for your kind words. We look forward to you staying with us again next winter! Lovely home for our family vacation. Loved the screened porch and tranquil setting. Had everything we needed to cook in for some meals, do laundry and just relax in the many different places the home offers. Property is even better that photos. 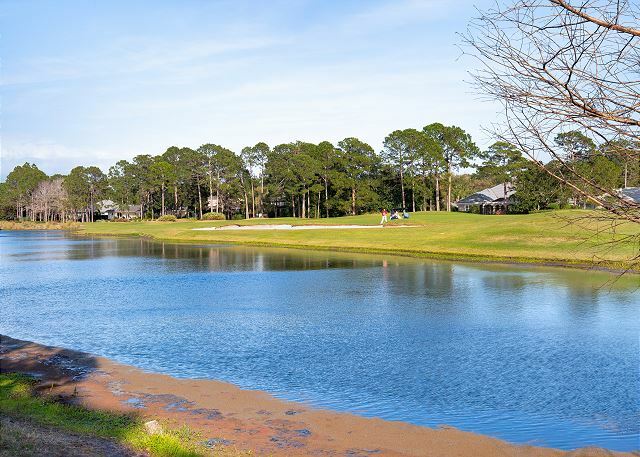 The home is in a good location to walk to the clubhouse and catch the tram when you are ready for the beach or Baytowne Wharf. The only drawback was the inability to rent a golf cart for our stay per neighborhood rules. Owners must supply golf cart otherwise can't have one on property. Bike paths are beautiful and we enjoyed that mode of transport instead. We had an issue with the air condition and the owners were immediately responsive and corrected problem the same day we made them aware. Overall great stay.